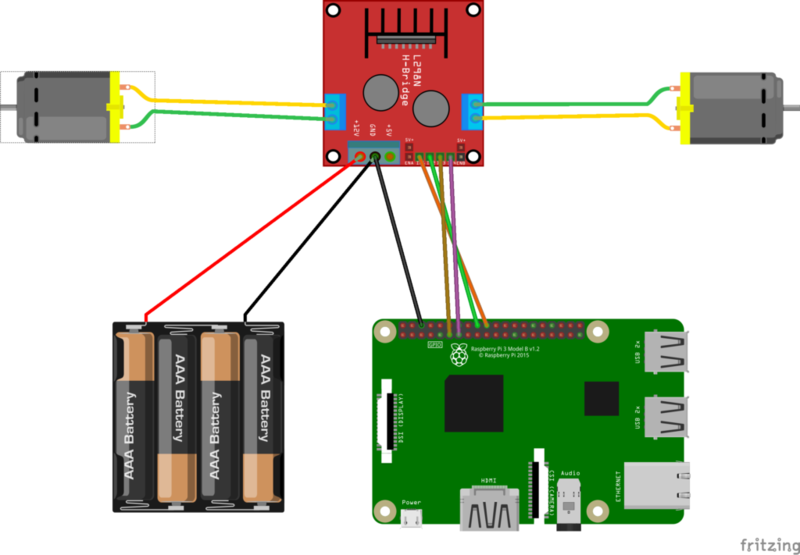 In this article, we will show you how we can use Android Things GPIO pins to control DC motors, allowing us to build a remote-controlled car. Android Things GPIO pins are used to interact with external devices. GPIO stands for General Purpose Input Output and it is an interface to read the state of an external device. 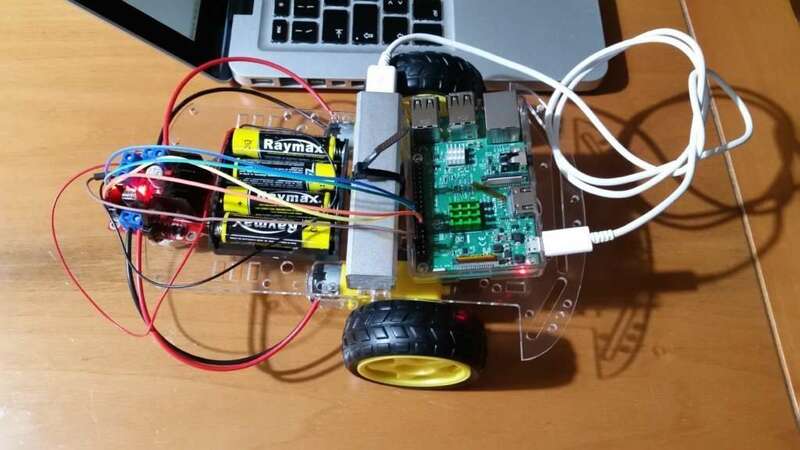 In this article, we will discover how we can use Android Things GPIO pins to control DC motors, allowing us to build a remote-controlled car. At the end of this article, you will build an Android Things car that moves in all directions and you can control it using your smartphone or your browser. Android Things provides a set of APIs we can use to interact with two-state devices like buttons or LEDs using Android Things GPIO. Using Android Things GPIO API, we can simply read the state of a pin or set its value. In more details, in this article, we will explore how to use Android Things GPIO to control motors. Maybe you already know, there are other ways to control motors. Using Android Things GPIO pins we can turn it on or off but we cannot control the motor velocity. GPIO pins have only two states: on or high and off or low. If we want to have more control over the motors applying a proportional control we can use Android Things PWM pins. For more on how to use Android Things GPIO pins you can refer to my book "Android Things Projects." Usually, we connect the device directly to the Android Things board. Anyway, when we use motors this is not possible because a motor may require much more current than a GPIO pin can provide. In this case, we have to provide an external power source and use the Android Things GPIO pins to control the motor. Moreover, we want to control the motor rotation direction. For these reasons, it is advisable to use a simple motor driver that simplifies our work. 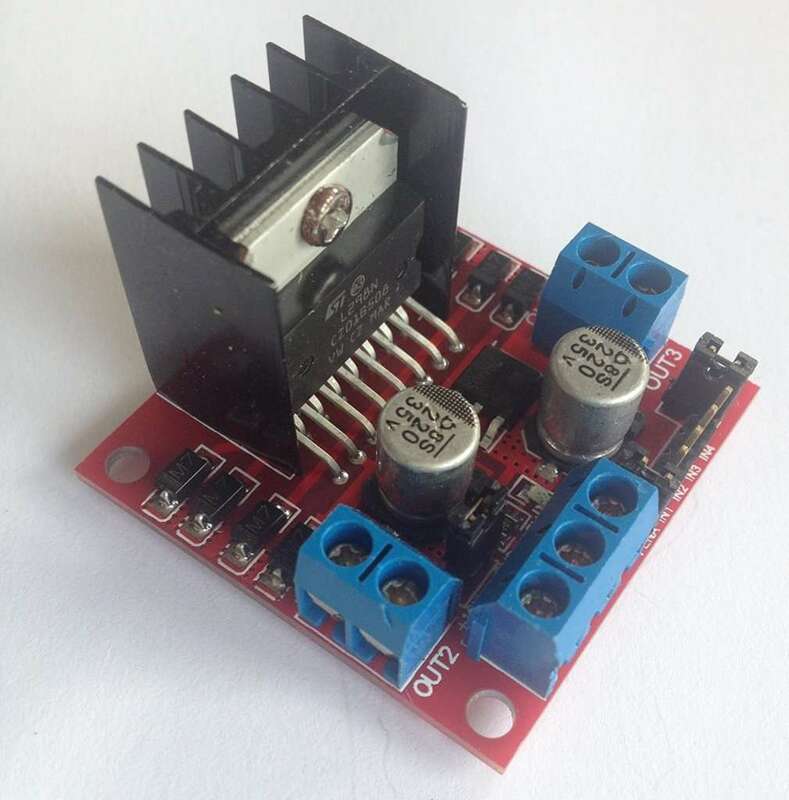 This driver can control motors using PWM too, but, in this project, we will not use these features. Using two Android Things GPIO pins for each motor, we can control its rotation direction or stop it. If you are using a different board than Raspberry Pi3, you have to change the pin names. It gets a reference to the PeripheralManagerService. It opens the GPIO pins. It sets the directions and the initial value. All these movements can be controlled turning on or off each pin defined above. That's all. Now, it is time to implement how we will control the car. There are several options we can implement for this purpose. We could use a simple Web server that has an HTML interface or we can use Android Nearby API, for example, or even a Bluetooth connection. In this tutorial, we will use a simple Web Interface. The HTML page is very simple and it is made by 5 buttons that represent the four directions and the stop button. As you can see, the code is very simple, everytime the CommandListener receives a new command it calls a method of the class that handles the motor to control the motors. This simple project can be further expanded. We could add a set of new feature like Vision, Machine learning, and so on. For this reason, we have used Android Things instead of Arduino or an ESP8266. You now know how to interact with Android Things GPIO pins and how to turn them on or off. Moreover, you learned how to use motors. All these information you have acquired can be used to build your first Android Things remote controlled car. Now you can play with your toy!